Please email a copy of the speaker's presentation to Natalie Olsen prior to the meeting. This will help eliminate any last minute technology issues. Thanks! Rotary East donated $1000 to this important cause! 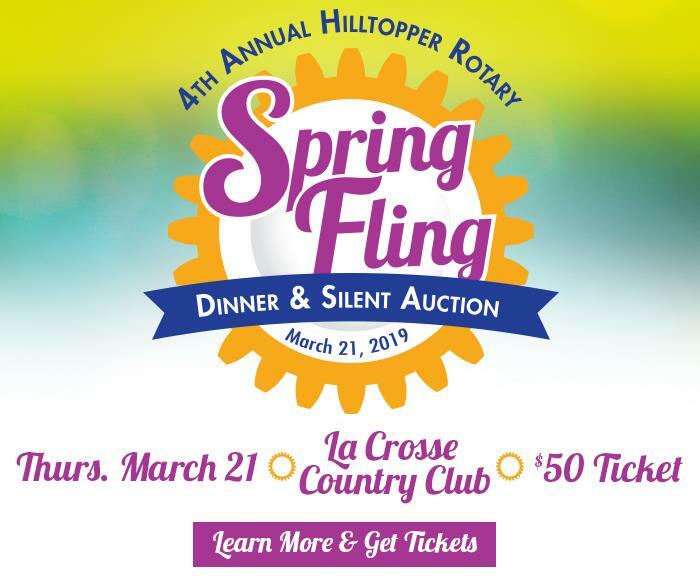 Join the Onalaska Hilltopper Rotary Club at their Fourth Annual Spring Fling on Thursday, March 21, 2019 at 5:30pm for a delicious dinner, bucket raffle, silent auction, socializing, the chance to win $1,000, and more! 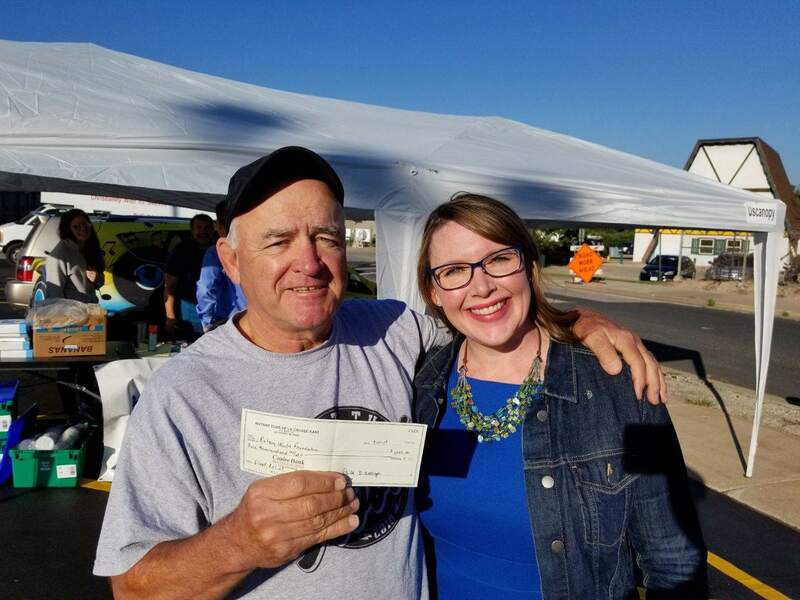 Money raised from the Spring Fling will go to help fund Club projects and the Onalaska Sculpture at the Great River Landing. This month we say goodbye to an awesome Rotary East member and great friend, Catherine Lavallée-Welch! Catherine has accepted a new position at Bishop’s University near Sherbrooke, Quebec, Canada and her last meeting here was September 24th. 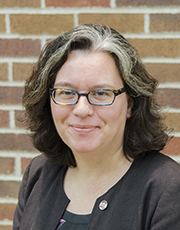 Catherine has been a La Crosse resident since May, 2013 and served as the Director of Murphy Library at UWL. In 2014, she joined Rotary East because she wanted to meet people in the community. She saw that others in Rotary East enjoyed their membership and were welcoming to others. Penny Tiedt was her sponsor. Catherine's favorite part of being in East was being involved in projects such as Rotary Lights, Chad Erickson Park clean up, and iFeed. She also enjoyed handling our social media presence. Something unique about Catherine is that both her and her husband are avid Doc Savage (character from pulp magazines) fans and, in fact, met at a pulp convention in Ohio. She looks forward to exploring Rotary in her new place of Sherbrooke. We wish you all the best Catherine!